This section explains the background to my Pennine Way walk – why I did it, and the logistics of the hike. 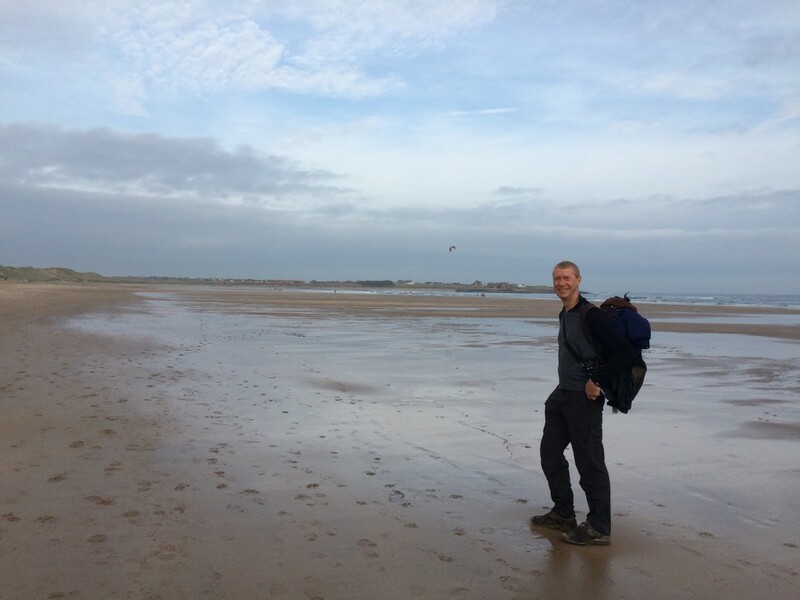 In 2014, I walked without break from Lizard Point, at the very south of the UK, to Dunnet Head, at the very north. On the way, I climbed the three highest peaks of England, Wales and Scotland. I walked 1,492 miles, climbed 199,000 ft and camped for 58 of the 79 days it took me to complete the journey. I was walking to raise money for the Scouts, and in the end, thanks to the generosity of my sponsors, I collected just over £11,000. My 2014 journey started on Monday 24 March and finished on Tuesday 10 June. Since I got back, I have done a few shorter day walks, and also completed the St Oswald’s Way and Dales Way long distance paths. The Pennine Way is a 280 mile trek through the highest, wildest, hills of northern England, running from Edale in Derbyshire roughly due north along the “spine” of the country to Kirk Yetholm in the Scottish borders. It was, actually, one of the first official long distance paths in Britain, and was opened in 1965. The Pennine Way and I have some history. In fact I walked it in late August 1977, after I finished my A-Levels and before I went to university. Immediately after finishing the walk, someone asked me if I’d enjoyed it and – perhaps reflecting on the exceptionally poor weather I’d encountered – I simply said “no”. They retorted that in a couple of years’ time, the memories of the worst bits would probably fade and I’d look back and want to do it again. In the intervening 38 years, I can honestly say that has never happened. Not once have I felt the inclination to go back. This only started to change earlier in 2016, when I realised that I would be finishing work and commuting into London for the 7,000th and final time in February. So there would be a certain symmetry in undertaking the Pennine Way walk once again. After a bit of soul-searching, I decided to give it another go. This time I’m doing it much earlier in the year than last – in fact it will still technically be winter. So the weather has the potential to be even worse. On the other hand, whereas last time I Youth-Hostelled the whole way, and for the 2014 walk I camped, this time, apart from one night, I’m allowing myself the luxury of bed and breakfast accommodation. And in 1977 I did it in 14 days, but this time I’m taking 18. As with the “LEJOG” 2015 hike, I’m going to be navigating entirely electronically, making use of “ViewRanger” software on my iPad mini. My packing list is based on the “LEJOG” packing list, although pared down (particularly by carrying fewer, heavy, spare batteries) and significantly reduced also because this time I’m allowing myself the luxury of B&B accommodation, rather than camping. This has allowed me to ditch the tent, stove, sleeping bag, sleeping mat, thermarest and cooking pot, saving me at least half a ton in weight in the process. I’ve also managed to get everything into a 30 litre climbing rucksack, rather than the much heavier backpacking sack that I used on LEJOG. So all in all I’m hoping for a much easier hike. Oh, and I have succumbed to carrying a trekking pole this time – I decided it could be handy if I get stuck in bog or deep snow on Kinder Scout! For other details of my LEJOG packing list and equipment, refer to the LEJOG website by clicking here. 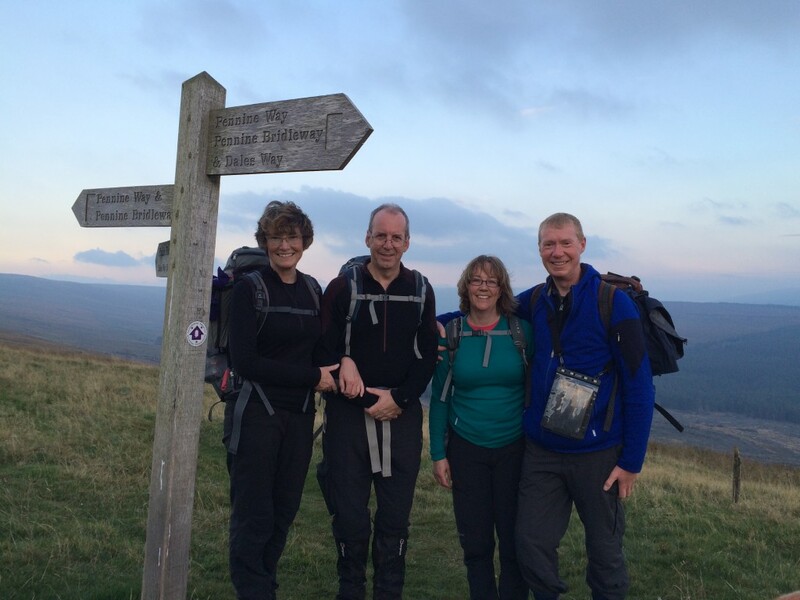 On Cam Fell, where the Dales Way (October 2015) crosses the Pennine Way. It was this walk that sowed the seed of PW 2016..